Baby whale born at SeaWorld San Diego: This picture & video below provided by SeaWorld San Diego shows a baby whale born Thursday, Feb. 14, 2013 at Shamu Stadium and comments from Animal Training Supervisor Kristi Burtis. SAN DIEGO — SeaWorld San Diego welcomed its 10th killer whale Thursday as an Orca calf was born at Shamu Stadium. The baby whale was born at 6:33 a.m. and appears to be healthy, according to SeaWorld. 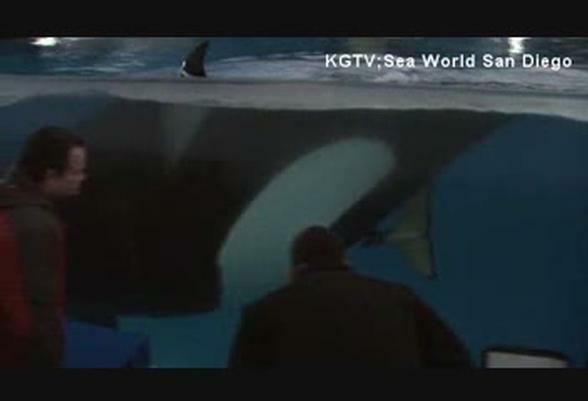 The mother is Kasatka, estimated to be about 37 years old, which went through about one hour of labor. 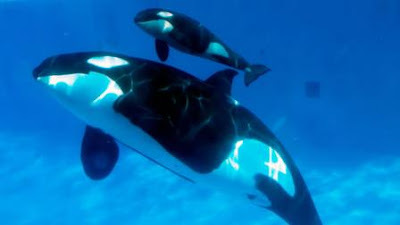 The calf is the sixth to be born at SeaWorld, which now has 10 killer whales. The newborn weighs between 300 and 350 pounds and is around 6 or 7 feet long, according to park officials. It hasn’t been determined whether it’s male or female. 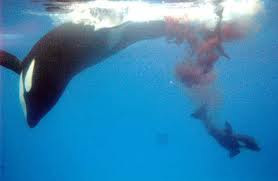 The calf instinctively swam to the surface to take its first breath after it was born. SeaWorld said zoological team members report the mother and offspring appear to be healthy, but the first few days will be critical. 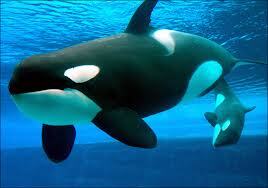 Orcas have an 18-month gestation period.